Super Bowls are typically not really my thing, you all know I am much more of a college football fan than a professional one. Although I don’t think I’ve missed watching one for as long as I can remember, so who knows?!? But, I love the experience of Super Bowls. In my younger years, Mom and Dad always got invited to Super Bowl parties with various members of our their Sunday School class and I always loved getting to stay up past my bedtime on a school night and play with all the other kids, typically in the basement away from all the adults. And it was such fun, and are some very fond childhood memories for me! But, of course, besides the fellowship and the always-entertaining Halftime show, the real star of teh show is the food! No Super Bowl experience would be complete without some delicious food for those all-important Super Bowl party buffets. So, whether you are still sticking to your 2018 health goals and wanting to stay on track this next weekend, or you are going for the full touchdown and serving up some guilty favorites, I have you covered on every angle. Here are a few of my favorite football-themed foods that travel well, can be served at varying temperatures, feed a crowd, and ones that will keep your guests coming back for more at every quarter break… and even in between too! I am a firm believer in the simple fact that no football party or tailgate is complete without some type of chip-n-dip combo. I crave chips-n-dip almost constantly. I can kill a bag of tortilla chips and a small bowl of salsa without even thinking. Maybe not something to brag about?!? Here are a few of my favorite dips for the dippers of your choice! 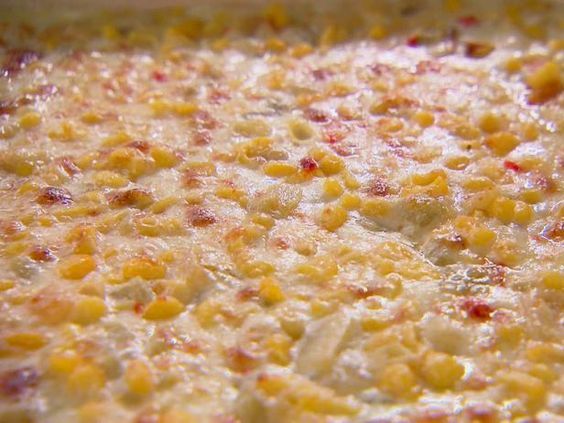 I have shared this Hot Corn Dip recipe before, but I think it certainly warrants a second look. Every time I serve it, people just go crazy! Beware… it is highly addictive! 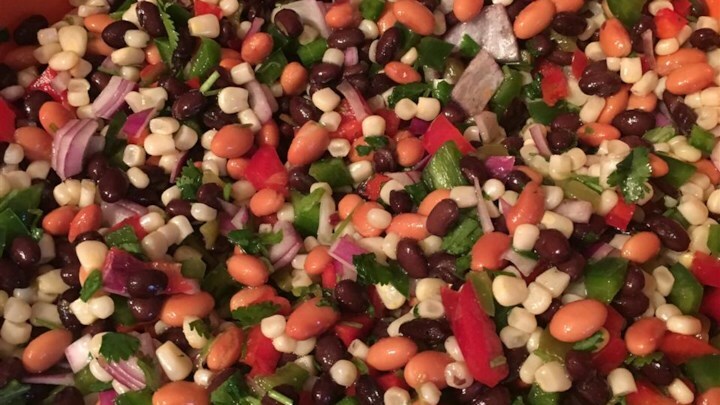 Best Ever Texas Caviar Dip is my go-to each fall, and my family and I enjoyed it no less than 3 times this last UGA football season, so I also think maybe it’s a bit of good luck too?!? This version is slightly updated and uses fresh(er) ingredients than some other recipes. It’s chunky, bright, colorful, and really delicious. 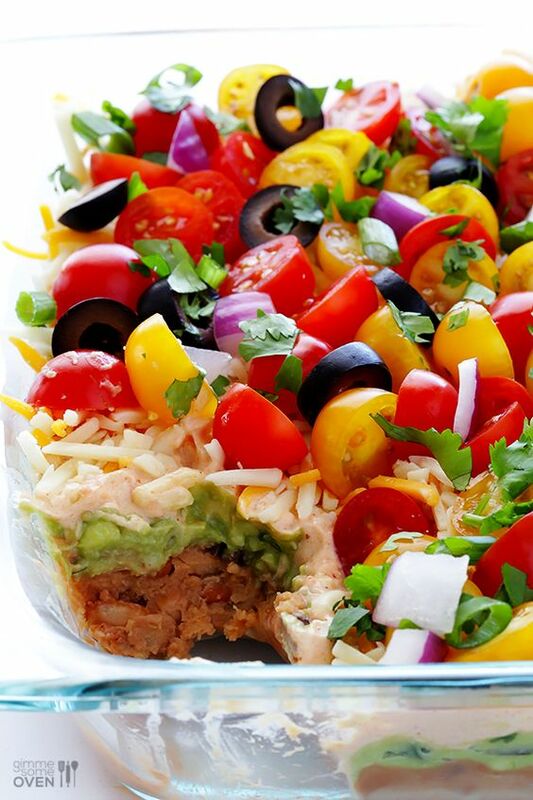 And then, this one is a little nontraditional, but my cousin made this last year as an appetizer for a family gathering and it was smash hit! 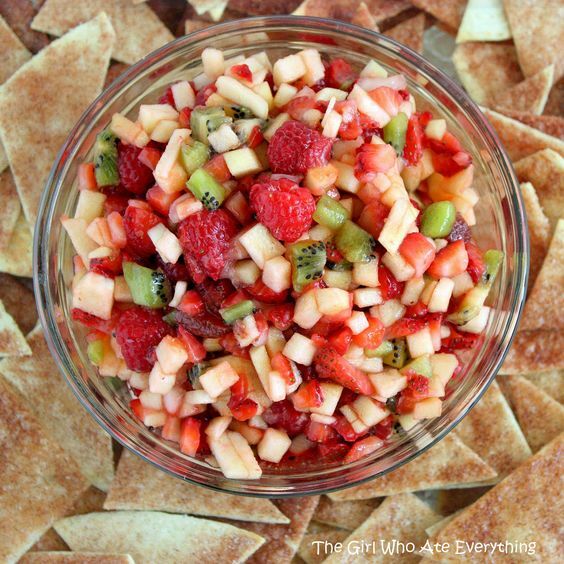 It is Fruit Salsa with Cinnamon Chips and it was fresh, cool, and the perfect amount of sweet. A perfect compliment to all the spicy and savory on the table. Now, moving on to other things… we need some protein, don’t you think? 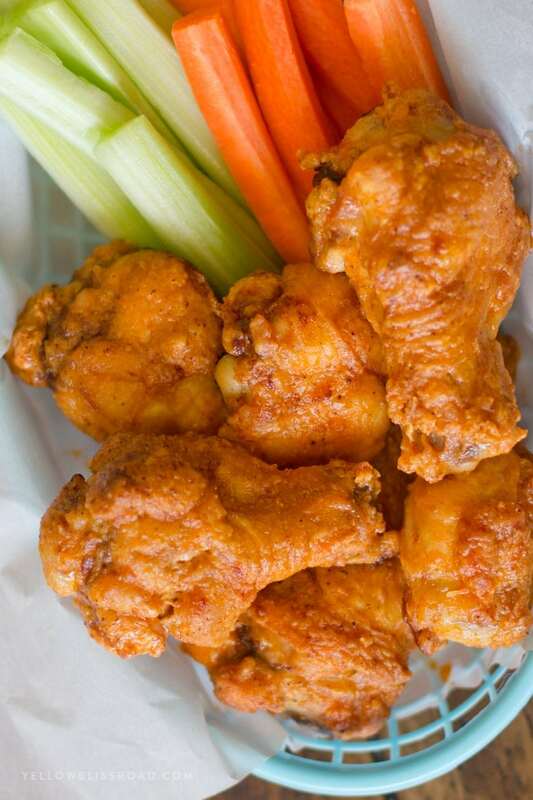 And absolutely nothing says football season quite like buffalo chicken wings. When September rolls around, I literally start craving that family buffalo, spicy flavor. For the traditionalists, these Crispy Baked Buffalo Chicken Wings are a bit lighter than their fried friends, and full of spicy flavor! 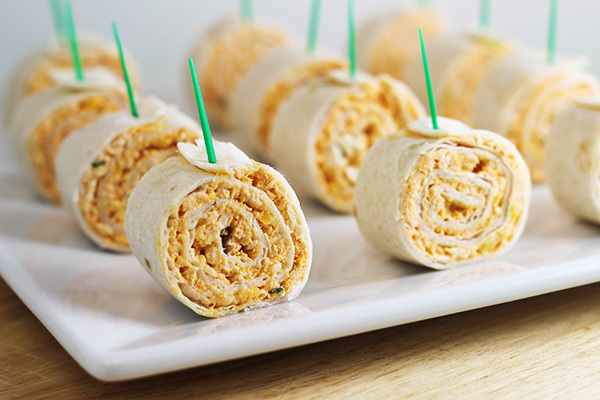 And, for those non-traditionalists, always trying new things, check out these Buffalo Chicken Tortilla Pinwheels for easy, bite size party food. Aren’t those cute? And you can serve them alongside some ranch or bleu cheese dressing too! Something salty and crunchy is always what I enjoy snacking on while I am watching the big game, and I think snack mixes are just perfect. This Parmesan Ranch Cheez-It Snack Mix “bakes” right in your slow-cooker! Full of nuts, crackers, and pretzels, there is sure to be something for everyone in this mix. And for a sweet n salty, no bake version? 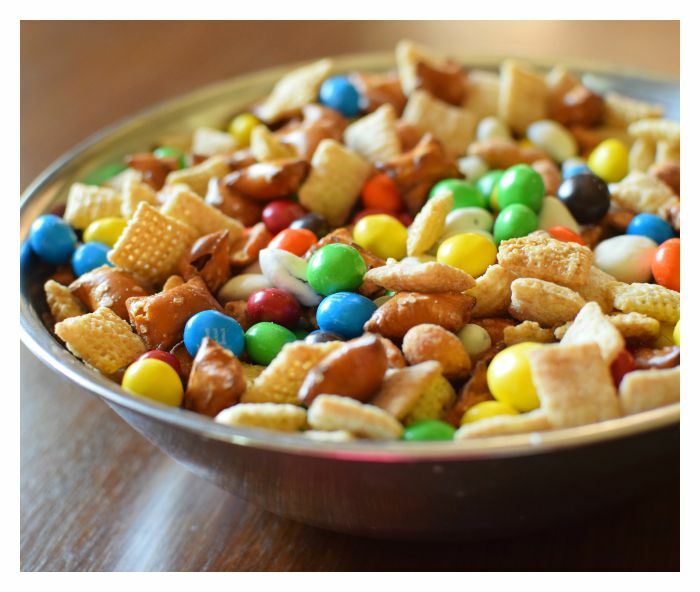 Look no further than this Best Sweet n Salty Snack Mix. Finally, let’s round out the menu with a little something sweet. 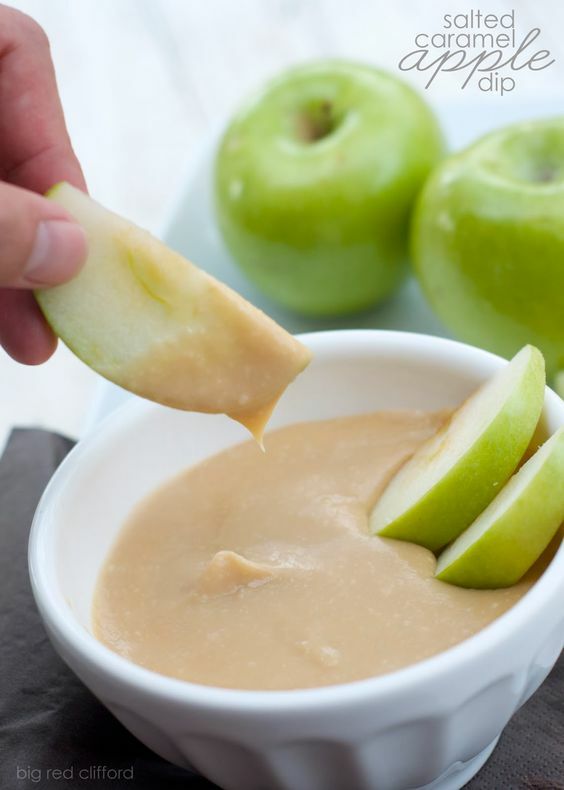 Love, love, love classic apple dips. Always one of my favorite party foods! And this is a 5 Minute Salted Caramel version that is just perfect when you are in a time crunch. You might even already have all the necessary ingredients right in your pantry and fridge! I love a good bar cookie. You can make a big pan of them, don’t have to individually scoop out little mounds of dough, and it is a simple one-time baking process. 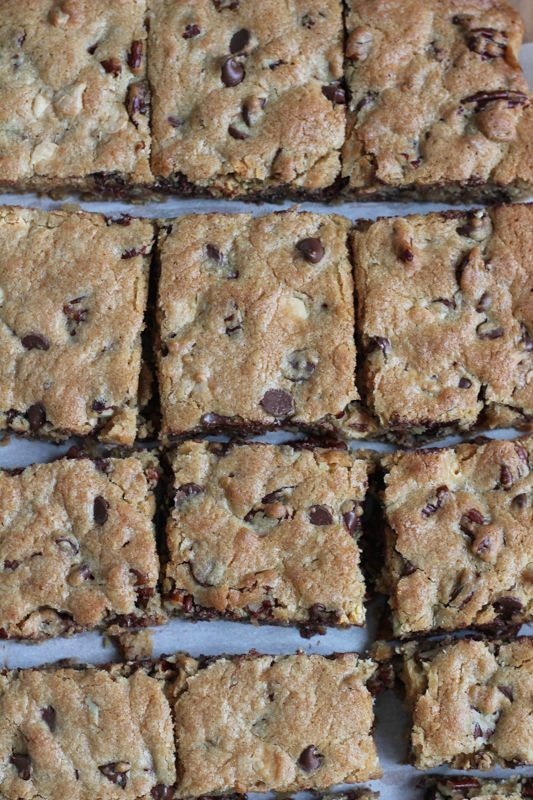 And these Absolute Best Blondies as vetted by America’s Test Kitchen is sure to be the perfect hit to everyone’s sweet tooth. Chocked full of chocolate chips, white chocolate chips, and roasted pecans, they are a perfect way to celebrate each touchdown, or just your favorite commercials. Do I hear a “Dilly, dilly!” ?? So, there you have it! Some inspiration for your game day table. I think you are really going to love these. Hope you all have the most fun at your Super Bowl parties reveling in every gasp-worthy catch and thrilling defensive stop. Sure to be an exciting game.